Integration of multimodal geophysical data provides better constraints on the results of inversion, thus helping to obtain the most reliable information about the structure and composition of the target. The Gramian method of joint inversion uses a Gramian stabilizer to increase the correlation between the different physical parameters of the inverse model and their attributes or transforms. 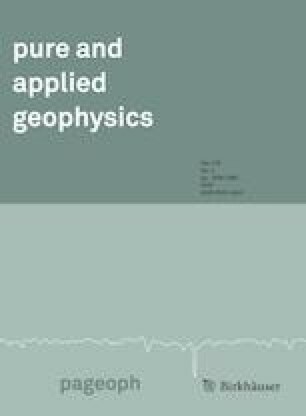 This paper applies the Gramian method to a joint inversion of the gravity gradiometry and seismic data with rock physics and structural constraints. In the first case we construct the Gramian stabilizer, which enforces the petrophysical relationship between the physical parameters to constrain the recovered models. In the second case, we incorporate the structural constraints in the joint inversion via a Gramian stabilizer of the gradients of velocity and density. In this case, the Gramian forces the vectors of the gradients of different model parameters to be parallel, thus implementing the structural constraints. The Gramian method of joint inversion is implemented using the Tikhonov regularization and the re-weighted conjugate gradient method. The approach is illustrated by synthetic model studies, which include a complicated SEG model of a salt dome structure located in a complex environment. The authors acknowledge support from the University of Utah’s Consortium for Electromagnetic Modeling and Inversion (CEMI) and TechnoImaging. We would like to thank Mr. Shihang Feng and Dr. Yue Zhu for their help with this research. The authors also thank Dr. Daniele Colombo and the other two anonymous reviewers for their valuable suggestions, which helped to improve the manuscript.